Synopsis: It’s the night before the Fourth of July and all across the United States people are getting ready for hot dogs and fireworks. Decked in red, white, and blue, a family heads to a parade, hosts a backyard BBQ with friends and family, dodges an afternoon thundershower, and of course, watches a fireworks show. The Night Before the Fourth of July captures all the fun, excitement, and pride of the best summer holiday! Natasha Wing brings all the excitement and fun to life in the pages of this celebration of our nation’s history. The rhyming is fun and playful. Amy Wummer’s illustrations are lively and colorful. This is the perfect book to introduce young children ages 3-5, to our joyful American birthday party, emphasizing family, diversity and tradition. This is the 20th book in “The Night Before…” series. Collect them all! Resources: What are you going to do on the Fourth of July? Will you dress-up, attend a parade, go to a family picnic, and watch fireworks? Will you wave a flag? Adults will find the book will bring back a flood of childhood memories they can share with their children. Natasha Wing is the author of When Jackie Saved Grand Central: The True Story of Jacqueline Kennedy’s Fight for an American Icon, 2017. She has written nearly 25 books in her “The Night Before…” series which deal with Easter, Christmas, Father’s Day, Preschool, Summer Camp, Kindergarten and many more delightful holidays and celebrations. She was born in Connecticut and now lives in Fort Collins, Colorado. After graduating from Arizona State University, she worked in advertising. It wasn’t until 1991 that she decided to write children’s books. Luckily she sold her first book within six months and has been writing children’s books and articles ever since. Visit Natasha at her website. Opening: Once there was a farmhouse in a field of hay, / but while it lay sleeping, the acres gave way / to a bustling city whose bright, shiny towers / edged out the farmhouse, the fields and flowers. Synopsis: An old farmhouse finds its once peaceful setting surrounded by a big city. People pitch in and dismantle the house, salvage the windows and doors, and build a Tiny House on wheels. It has a tiny front porch, a kitchen with cabinets, a loft for sleeping and a nook for reading. When Tiny is hooked up to Big Truck they can travel where ever they want. Tiny heads west to see the world and discover if he’s a real home. They drive past farmlands, visit the big silver arch in St. Louis, join a parade in New Orleans, camp near the Grand Canyon, drive through the desert and wind through the Rocky Mountains. Traveling can be fun, but Tiny becomes lonely. They meet friends like Shiny (an Airstream) and Buster (a converted school bus) who invite Tiny to the Tiny House Jamboree. Back on the road Tiny discovers Harmony, a village of tiny houses, and learns a very important lessons about the meaning of home. Susan Schaefer Bernardo and Courtenay Fletcher have outdone themselves with The Big Adventures of Tiny House, which captures the spirit and heart of the tiny house movement in America. Tiny homes and communities offer an alternative for those seeking a simpler and less costly lifestyle change, friendship and community. And yes, there is a big annual jamboree. There is a richness and charm in Fletcher’s bold and colorful illustrations that make this a beautiful book to read. If you look real closely at all the illustrations, kids will discover eyes peering out the windows as Tiny rolls along the road, celebrates the jamboree or is content in his new community. The author and illustrator team up to once again produce another winning book for children. Resources: Have kids draw or design their own tiny house. What would they put inside the their house? How big would they make it? The Tiny House website also has a template of a tiny house that kids can construct and coloring pages. Susan Schafer Bernardo and Courtney Fletcher have collaborated on Sun Kisses and Moon Hugs and The Rhino Who Swallowed a Storm, which was read aloud by First Lady Michelle Obama and sent to the International Space Station as part of Storytime in Space! They hope that Tiny Makes his dream come true and finds his ways to Mars. *I was provided with a copy of The Big Adventures of Tiny House in exchange for a fair and honest review. Opening: When Stickley was young, he didn’t like making mistakes. “Oh no!” he’d say, and he wouldn’t try again. He wanted to be perfect. Book Synopsis: Stickley didn’t like making mistakes. With help from his Grandpa, Stickley learns to hop up, try again, and say “oh well” when he makes a mistake. Nobody’s perfect, and good things can happen even when you make mistakes — like putting blueberries in the pancake batter instead of chocolate chips. When Stickley writes 1 + 1 = 3 on the blackboard, he asks for help and a polar bear hands him an ice cream cone with two sweet scoops. Brenda S. Mills’ has written a charming and important sequel to her popular Stickley Sticks To It book. Stickley is so afraid of making a mistake, that he’s afraid to try when he messes up. It is important for children to learn that making a mistake is part of their learning process. They grow from their mistakes. And, some mistakes can be fun. The language is artful, with a careful use of prose that is also lyrical at times. “No one is perfect, / so practice your best! / If you’re stuck on a problem, / ask for help with the rest!” Steve Mack’s illustrations are colorful, lively and full of personality. Stickley’s expressions are priceless. Resources: The book includes a Note to Parents, Caregivers, and Teachers with tips for helping children to embrace their mistakes, learn from them, and keep trying. Stickley Makes a Mistake, is an important book for preschools and elementary students. This is a good book to read at the start of the new year, to help children know that perfection isn’t the goal — the fun of learning. And since many parents don’t like making mistakes, it’s a fun book to read with your child. It will encourage many fun discussions. Book Jacket Synopsis: There are planes to fly and buses to catch, but a small child wishes for a different sort of day. As clouds gather and heavy flakes fall, her invocation rises above the sleeping city. A too-busy world falls silent, and a family revels in the freedom and peace that snow brings. Joyce Sidman’s breathtaking book is pure poetry for children and the young at heart. The text is spare and there are many wordless pages. It is a quiet story to curl up with, read slowly and study the detail on each page. There are busy scenes of people walking in parks, striding past shops, pushing strollers and riding buses. There are children arriving home from school, families eating together, and parents leaving for work. And there is a child who wishes for snow. Beth Krommes’ beautiful scratch-board artwork is a feast for the eyes. The words and artwork perfectly support the theme. Resources: Make sure you read the author’s thought-provoking comment “On Wishes and Invocations” at the end of the book. Ask children what they wish for. Do their words have power? Joyce Sidman won a Newbery Honor for her Dark Emperor and Other Poems of the Night. She is today’s foremost nature poet for children. Two of her other books are Caldecott Honor books. She won the Award for Excellence in Poetry for Children for her award-winning body of work. Beth Krommes is the Caldecott-winning artist of The House in the Night and other beautiful picture books, including Butterfly Eyes and Other Secrets of the Meadow, and Blue on Blue. Book Jacket Synopsis: Move Your Mood! encourages children to twist, wiggle, hop, march, shake and smile their way into a better mood. 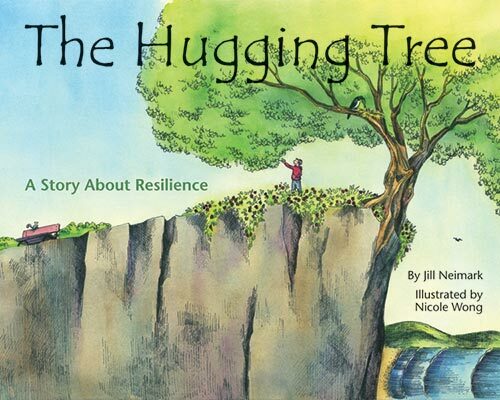 Brenda S. Miles and Colleen A. Patterson have written a fresh and clever story that teaches children to move their bodies when they feel angry, sad, worried, anxious and frustrated. What a great way to boost their moods. Adorable anthropomorphic animals (cow, giraffe, pig, elephant, kangaroo and duck etc.) wearing stylish hats dance, waddle, hop, twist, wiggle, and march across double-page spreads to the delight of young readers. The text is simple: “Twist out tired! Twist. Twist. Twist.” and “Wiggle out worried! Wiggle like this!” Holly Clifton-Brown’s humorous illustrations are colorful, lively, and expressive. Verdict: This book will elicit many giggles from children, who will feel energized and happy after doing all the suggested movements before they sit down to focus on an activity. This book is a winner for kids, parents and teachers! Resources: There is a Note to Parents, Caregivers, and Teachers at the end of the book with suggestions in how to use this book at home in the morning to start the day, at school during circle time and in the afternoon to re-energize and refocus students. This is such an uplifting and terrific resource to use with preschoolers and kindergarteners. Opening: I am happy, but sometimes I feel mad and VERY frustrated! Like the other day when I let go of my balloon. I felt s-o-o-o mad! Synopsis: A girl becomes angry when she lets go of her balloon. Her friend tells her it’s okay to feel mad, but there is something she can do to feel better. He shares with her a rhyme he uses to calm his body and mind. “1-2-3 a calmer me. 1-2-3 I hug me. 1-2-3 relax and b-r-e-a-t-h-e…1-2-3 a calmer me.” When she discovers it melts her angry feelings, she begins to use the technique when someone takes away her favorite crayon, when she has to stop playing and eat dinner, and when she loses a race. I was delighted to discover Colleen A. Patterson and Brenda S. Miles’ book which helps children with relaxation and mindfulness when their emotions spin out of control. We need more books like this to use at home and at school to help upset kids regain control so that they don’t act out in a harmful way. Claire Keay’s illustrations are rendered in warm and comforting pastels and capture the emotion of the story. 1-2-3 A Calmer Me introduces readers to a very simple rhyming mantra to help them stop their negative reaction, calm their anger, frustration or disappointment and replace it with a very easy technique. In the first action of the mantra the girl wraps her arms around herself and gives herself a big, tight hug. Then she counts again and slowly breathes in and out and relaxes her body. In the last action she slowly releases her hug and lets her arms dangle by her side. She feels the relaxation. Resources: The book includes a “Note to Parents, Teachers and Other Grown-Ups” with more information about the steps of the “1-2-3” rhyme, and advice for working through the steps with your child.